**Finished** Minnowcontest: Get 195SP FOR FREE for a week from minnowbooster! It's about time I made my first contest! Using @minnowbooster, I will give the gift of 195 Steem Power for a week! Steem Power (SP) operates like a concentrating force. Like a boiler, it superheats the content and creates steam. Oops, I misspelled that; I meant STEEM! When you earn rewards for posting and voting, part of this is paid to you in SP. When you Power Up, you are increasing your SP also. Congratulations, you are becoming a virtual Class A shareholder with your bucketful of shiny tokens. SP gives you stronger voting influence. It also gives you a virtual stake in the future growth of Steemit and the Steem economy, since most of the new currency tokens created are paid out to SP holders. Where does the real muscle come from? From your hard work, of course. Creating and curating content makes it all start to bubble happily. To put it in a few words: When you have more Steem Power, your rewards are higher. All 3 steps (upvote, resteem, comment with "Resteemed" are required) for valid entries. I will write down all usernames of correct entries, and assign them a number (starting from 1). I will edit this post to add the list, and also add it as a comment. 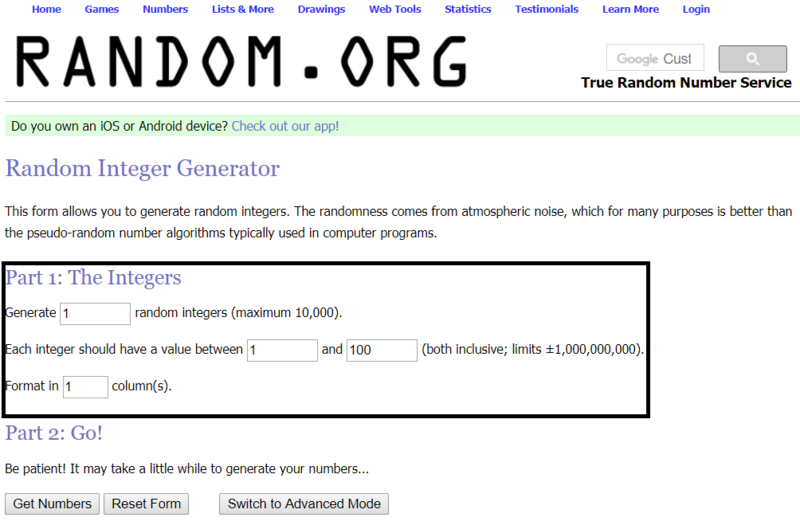 I will then head to random.org/integers, and using the following configuration (adjusted to the correct numbers of course) I will get a number, that will be the winning entry. I will record this as a video, which will be added on this post as a comment, and also in a new post tagging the winner. I think most people in here, do not understand the value of Steam Power. This is a small step to help them understand why having more Steam Power makes you more powerful. Also, as a thank you to the minnowbooster folks who have done an amazing job with their service! I am running a witness server. Please consider voting me for a witness. Thank you everyone. I will verify all the entries, post the list and announce the winner within the next 1-2 days! This comment has received a 0.28 % upvote from @booster thanks to: @shehryar. This comment has received a sweet gift of Dank Amps in the flavor of 6.25 % upvote from @lovejuice thanks to: @veibone. Vote for Aggroed! I got a bellyRub and this comment has received a 1.25 % upvote from @bellyrub thanks to: @zeartul. Hi I have resteemed, upvoted and followed and will vote for you as a witness as well. IF you give me I can give you my 100% vote! Kalh epituxia ! :) isws xreiastei na tre3eis kai allo enan back server , ap oti exw dei toulaxiston apo tous upoloipous wintess ! Upvoted and resteemed. Great job you are doing! Just a quick update; I didn't have the time to choose the winner, it's been a crazy week. This will be done within the weekend. Thank you very much and I'm sorry for they delay! The numbers infront of the username are the range of the numbers that will be used in random.org (as described in the first post). This comment has received a sweet gift of Dank Amps in the flavor of 8.21 % upvote from @lovejuice thanks to: @veibone. Vote for Aggroed! This sounds interesting, I think I will join the boat! Yes I have resteem this post and I want this Steem Power to start my journey here and help other new comers specially girls.